ANY BUDDING PERFORMERS - BUGSY MALONE! The Grand Opera House needs you! Are you a young performer destined for stardom? How about auditioning for the amazing Grand Opera House Summer Youth Production of Bugsy Malone! First stage auditions will take place on Sunday 10 February 2019. Call back auditions will take place on Saturday 16 and Sunday 17 February 2019. Closing date for registration is Monday 4 February 2019. 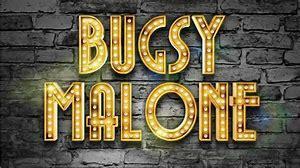 Bugsy Malone is open to 10-18 year olds. The project will run from 21 July to 3 August and successful cast members must be available to attend every day.